100% of every gift you give to California 4-H directly supports our programs! Thank you for considering UC Agriculture and Natural Resources/California 4-H Foundation this giving season! There are many options for making a gift. CREDIT CARD: If you'd like to make an online gift, please click the "Make A Gift" button. Please include your designation and a return address so we can thank you! Please make the check out to the "California 4-H Foundation." SECURITIES: Securities may be transferred from your brokerage account to the Regents of the University of California. The value of your gift of securities is determined by the mean market value of the stock on the date of your gift. Please click here for delivery instructions! DONOR ADVISED FUNDS: Through our relationship with the UC Davis financial office, it is easy to make a gift from your Donor Advised Fund. Simply ask your advisor to direct your gift to UC ANR, ID# 94-6036494 (UC Davis), then note any other designation, such as a specific program, etc. It is always helpful and appreciated if you let us know you have designated a gift to us through your Donor Advised Funds, just email gifts@ucanr.edu. The IRA account owner must be 70½ years or older at the time of distribution. The rule applies only to Traditional, Rollover, and Roth IRAs. SEPs and SIMPLE IRAs are generally excluded. IRA Trustee or custodian must make the distribution directly to the charity. Distributions made payable to the IRA owner and transferred to the charity will not qualify. Make sure to let us know you have made this distribution so we can ensure receipt of it and proper acknowledgment. Click here to download a sample letter! Multi-year pledges allow for more effective program planning and are an excellent way to ensure sustainability of 4-H programming. Pledges may be paid over a period of up to five years from the time of the commitment in annual, semiannual, or quarterly installments. We will work with you to develop a payment schedule. Payments may be in cash, with credit or debit cards, or wire or securities transfers. If you would like to make a multi-year pledge with your credit or debit card, please visit our online donation page. 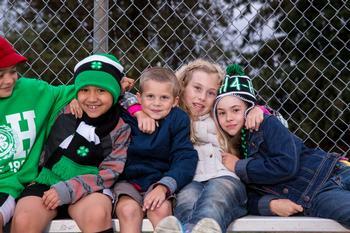 Leave a lasting legacy to California 4-H. Making a planned gift — whether by including a bequest to 4-H in your will or by naming it as the beneficiary of a charitable remainder trust, life insurance policy, or retirement fund — provides essential support for the 4-H program in the future. Planned gifts can offer significant tax advantages and in some cases generate lifetime income for you or your chosen beneficiary. Please Contact Us for more information about planned giving and the many ways in which your gift can ensure the future of 4-H in California. Your investments can be used to invest in California 4-H. Gifts of securities – stocks, bonds, or mutual funds – can be transferred the California 4-H Foundation. To notify us of a pending transaction or for more information about making a gift of securities, please contact Andrea Ambrose at apambrose@ucanr.edu. Invest in 4-H Programs through gifts and sponsorships. There are many ways to support the work of the California 4-H program – through gifts, sponsorships and marketing collaborations. Click to learn more about volunteering! A memorial gift can help perpetuate the values and ideals that guided someone’s life. Honorary gifts commemorate a significant event or someone who is still living. Families of those so honored will be notified of your gift; the amount, however, remains a private matter. If you are interested in making a memorial or honorary gift, please make sure to provide the appropriate information when you make or submit your gift. You can make an online donation here, designating the person in whose honor you would like to make the donation. For additional information regarding memorial or honorary gifts, contact us at ca4hfoundation@ucanr.edu. Many companies will match their employees’ gifts to the California 4-H Foundation through their giving programs. You receive full credit for your matching gifts for the purposes of recognition and benefits. Check with your human resources department to find out whether your company has a matching gift policy. If it does, your employer will usually provide a form for you to fill out and send to us with your donation. We will verify your gift and return the form to your company, which will then issue a matching gift contribution directly to the Foundation. Find out if your company has a matching gift program here. If your company’s name does not appear on the list, it may still have a giving program – check with your H.R. Department find out your options.